To improve website SEO, you can’t throw darts in the dark. You need a strategy. A plan for systematic improvement across your site. And in this post, I’ll share a strategy to do just that. After segmenting your content based on directories, you can start to SEO score your site. And you can do that using Pagezii’s SEO Analysis Report. In this tutorial, we’re focusing on analyzing a blog. So, go to Pagezii’s SEO Report Setup, select analyze by specific pages, and enter pages falling under that directory. After that, run the report. You can then view the Shareable Report, Project Pages Report, and Similar Pages Report. The first report to view is the Shareable Report. 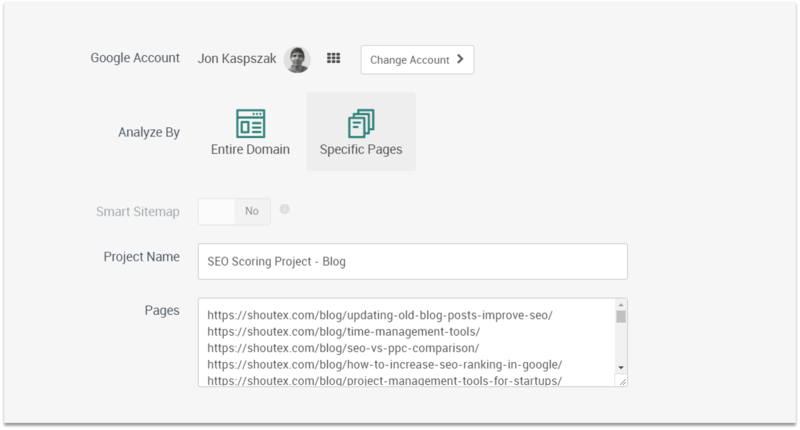 When you click on your Shareable Report, you’ll get a bird’s-eye view of SEO for your site segment. And at the top of the report, you’ll see your overall SEO score. You’ll use this SEO score as a benchmark. In our example, our benchmark is set at 74%. So any content SEO scoring lower than 74% needs optimization. After benchmarking your SEO score, analyze your segment page by page. You can do that using the project pages report. 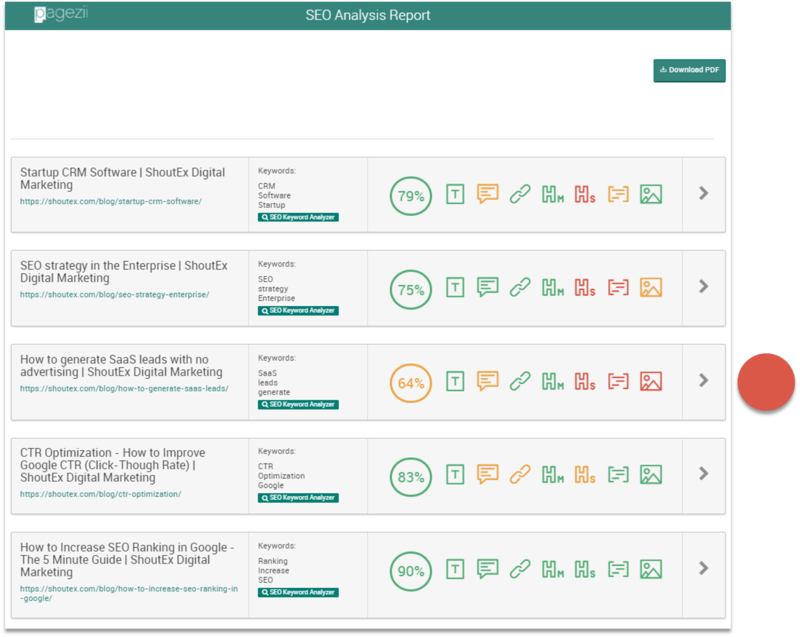 When you click on this report, you’ll see an SEO score breakdown of each page within your segment. 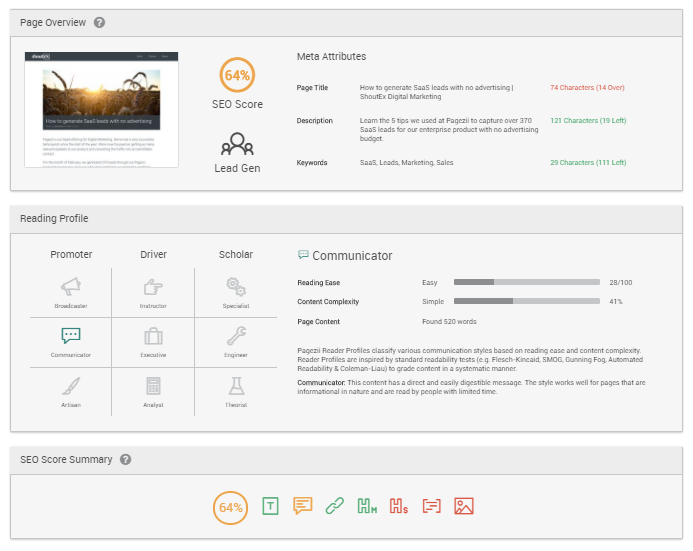 You can now home in on which pages fall below your benchmark. In our example, our benchmark was an SEO score of 74%. So, I’ll highlight which SEO scores we need to improve. 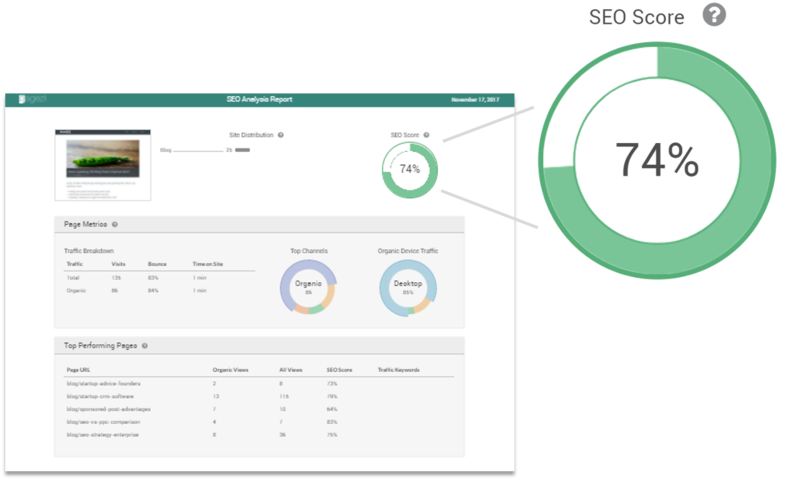 And to help you optimize, you can dive into each underperforming page, directly from the Project Pages Report. Just click the Go Arrow on a particular page. 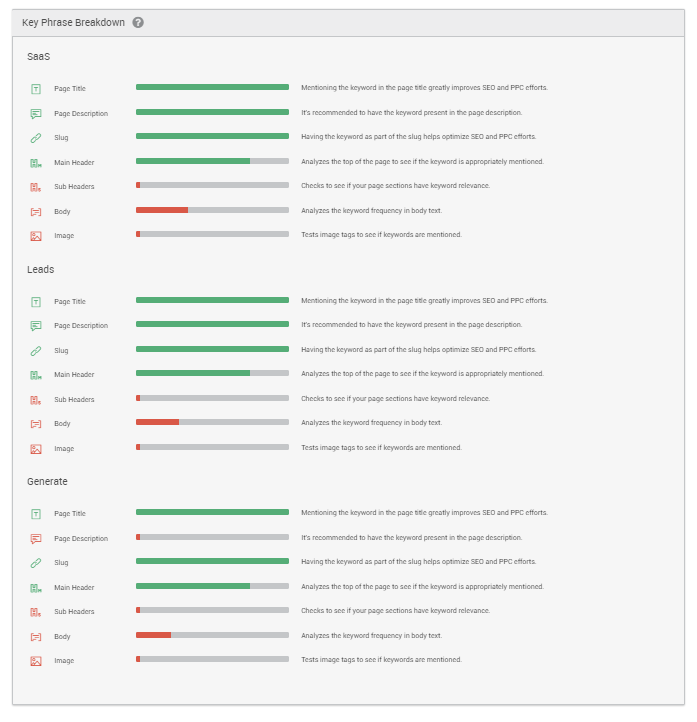 And you can use this analysis to see which specific area of your content need SEO score improvement. You’ll want to repeat the steps you’ve learned here today for each segment of your site. And by doing this, you’ll see your SEO score rise from the original benchmark. Which means better SEO performance. You now know how to systematically optimize your site, all with the help of Pagezii’s SEO Analysis Report. 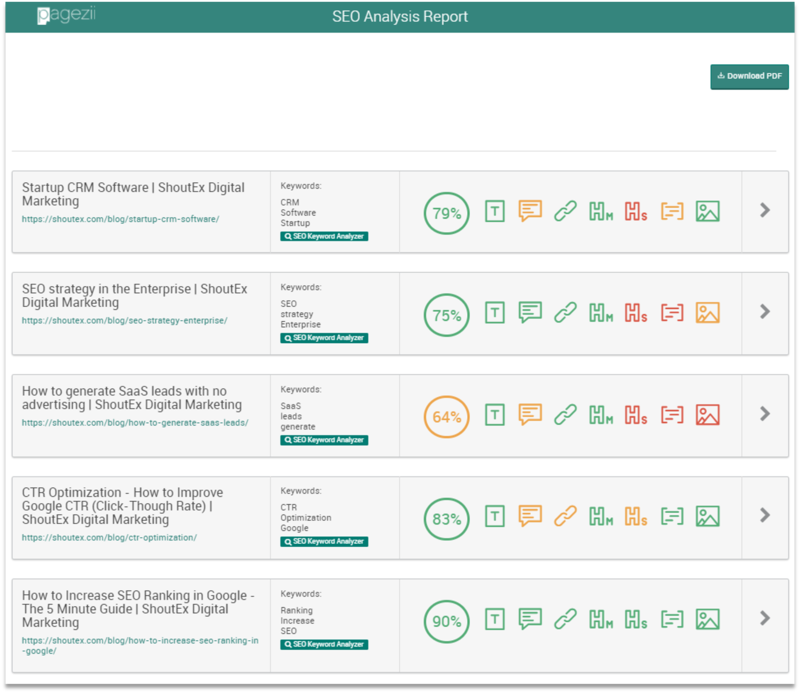 Want access to the SEO Analysis Report? Then sign up for a free trial and start optimizing your search engine performance today.